Is your organization interested in providing arts services inside California’s state prisons? Apply to become a new Arts in Corrections Coordinating Organization. 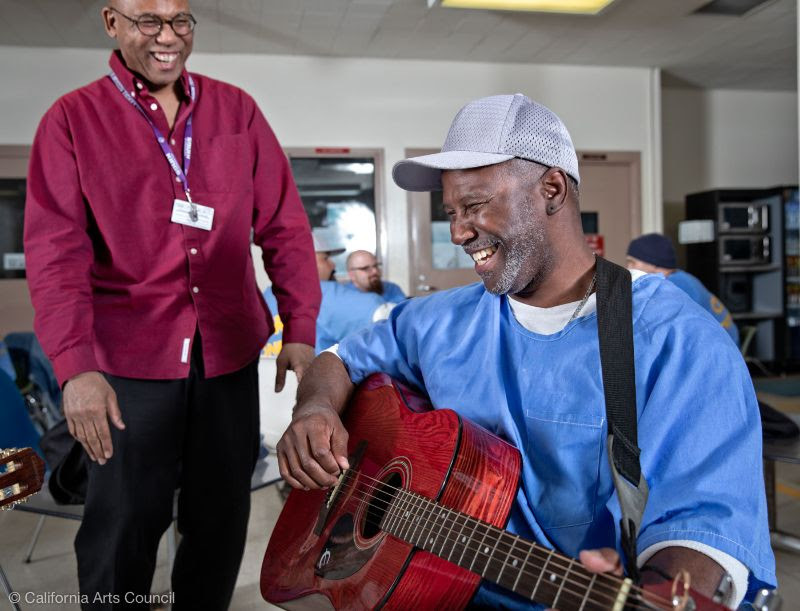 We’re currently seeking proposals from arts organizations to help us diversify the range and number of arts workshops being offered at California adult state correctional facilities. In a conscious effort to simplify the proposal process and increase access, equity, and inclusion among interested organizations, templated forms, written instructions, and a video tutorial are available for guidance in developing your submission. Administered by the California Arts Council and made possible via an interagency agreement with the California Department of Corrections and Rehabilitation (CDCR), California’s Arts in Corrections program is designed to prepare incarcerated individuals for success upon release, enhance rehabilitative goals, and improve the safety and environment of state prisons. The program is internationally recognized for its high-impact, innovative approach to addressing the state’s public safety needs and rehabilitative priorities through arts and culture. Thursday, Feb. 28, 2019 – 11 a.m.
Arts in Corrections staff will offer additional guidance on the Request for Proposals (RFP) submission process. Interested organizations are encouraged to apply. Register at http://tiny.cc/AICwebinar. Deadline: April 8, 2019 – 12 p.m. The California Arts Council is seeking Arts in Corrections Advisors in order to consider the opinions and viewpoints of returned citizens who have experienced incarceration. Individuals selected will serve as advisors to panelists reviewing Arts in Corrections proposals received from an RFP and will receive a $200 honorarium per day, in addition to accommodations, meals, and travel expenses covered (if the advisor lives 50 miles outside of Sacramento). Click here to view the Advisor application.